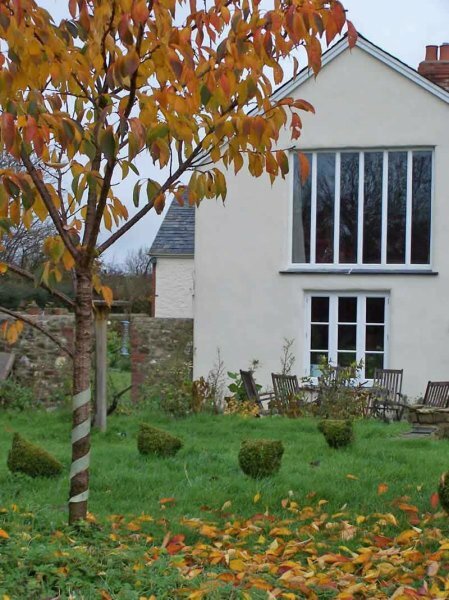 We make a wide range of bespoke windows for both historic and modern buildings. 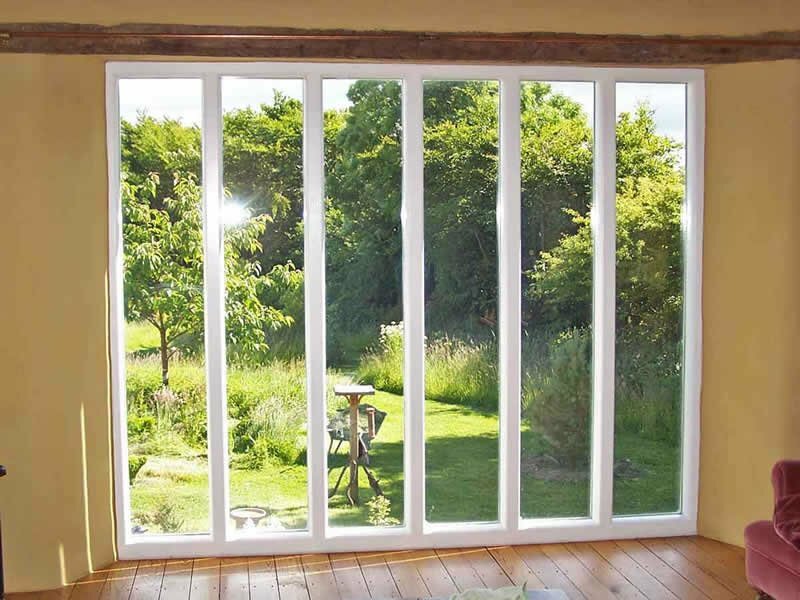 We are able to build windows to match those already there or create contemporary modern designs. 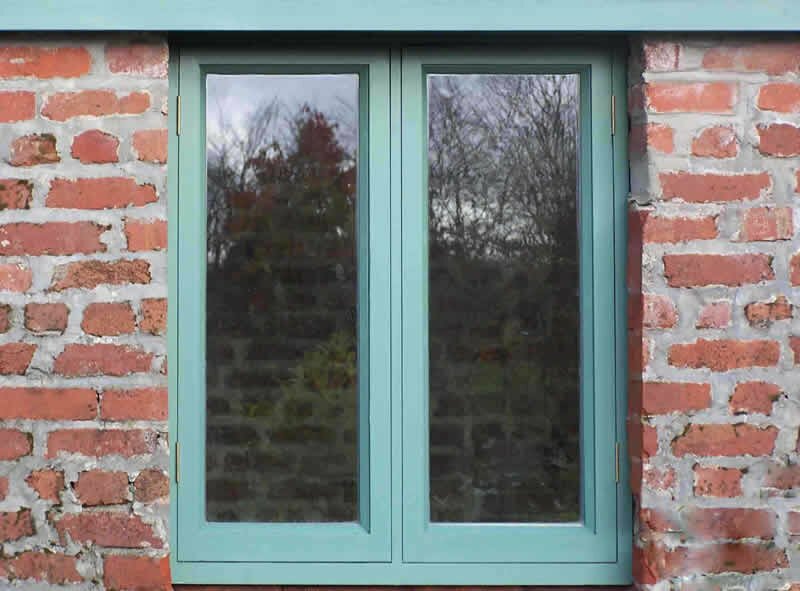 Made in our joinery workshop by fully-trained, highly-skilled craftsmen in the traditional manner with mortice and tenon joints, but with the use of modern machinery, our windows combine quality design features with modern security and thermal efficiency. 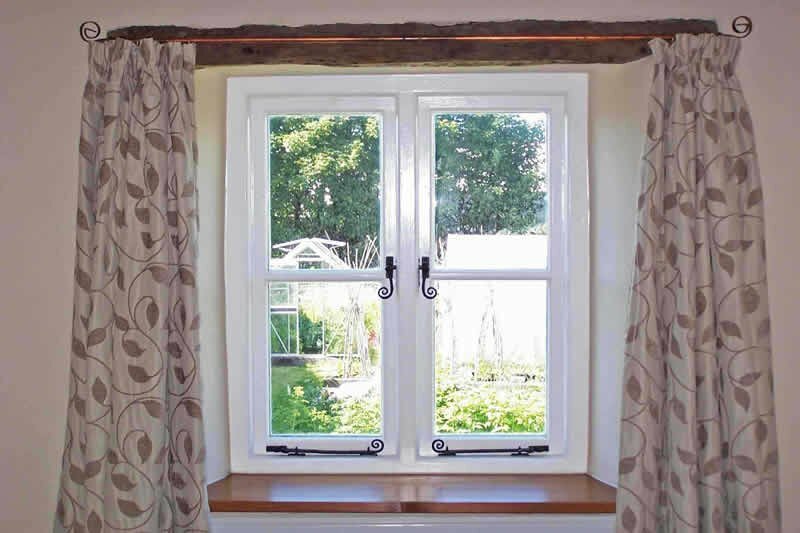 Traditional timber windows are tactile and bring a unique character to any home, traditional or contemporary. They are eco-friendly and sustainable and when treated with proper care last for decades unlike plastic which has a limited life and its disposal is proving to be of concern to the environment. 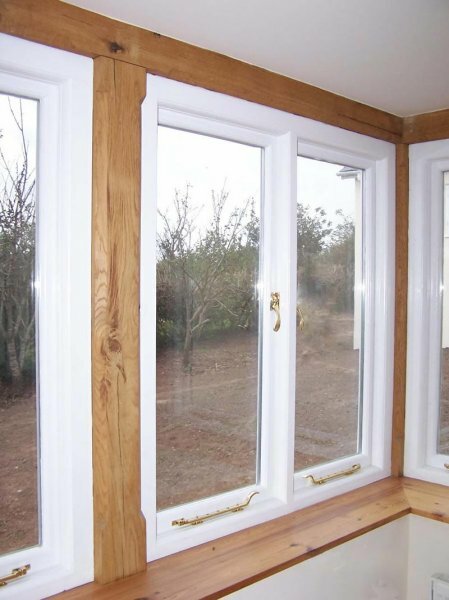 The timber we use is Oak or Joinery Redwood, a very durable softwood. We can use alternative cheaper hardwoods if required. 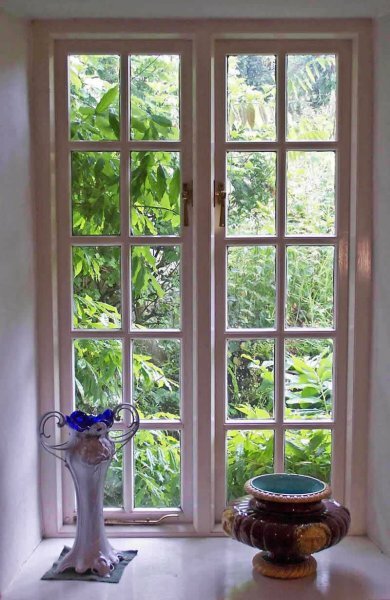 The vast majority of our windows are made to take double glazing as this is now a building requirement, but when replacing or matching original windows in old buildings, particularly listed buildings, planning conditions may dictate the use of single glazing. 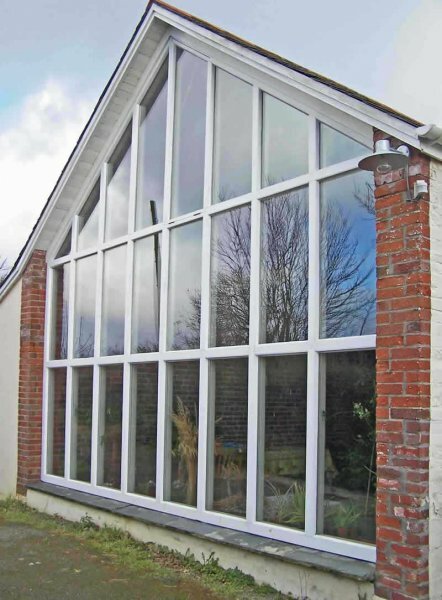 This is no problem as we can make single glazed windows to any design. 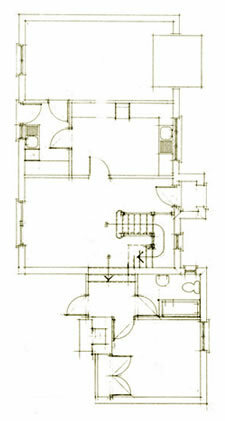 Prices vary greatly because of the individual nature of each of our clients’ projects. If you tell us your requirements we will get back to you promptly with a price. Getting your windows custom made not only gives you the beauty of real wood windows with all the benefits of reduced noise, enhanced security, greater energy saving and warmth but the knowledge that looked after porperly, they will last you many many years, well beyond the lifespan of plastic windows and are far kinder to our environment. 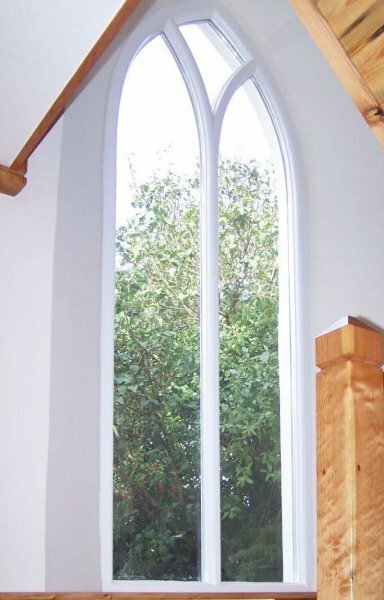 Your bespoke windows come joinery complete and are fitted for you on site. Or alternatively if you prefer, email a rough sketch of your idea together with the dimensions of the area you want the window to fill and we will be pleased to provide you with a free estimate.